The Malawian Parliament voted unanimously last week to ban child marriage, an important move for a country with one of the highest child marriage rates in the world. The legislation raises the minimum legal age of marriage to 18. 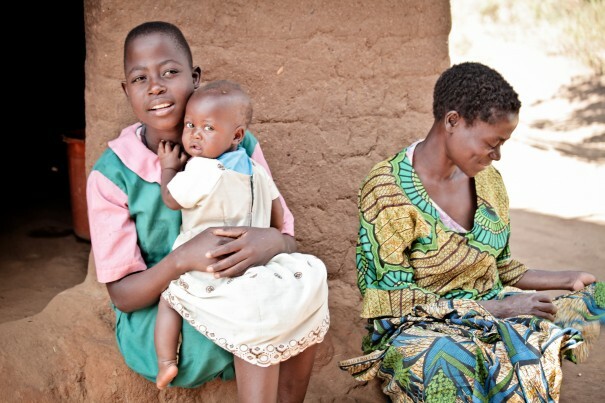 An estimated 50 percent of Malawian girls becoming child brides, and approximately one in eight girls are married by 15. Women’s rights activists are optimistic for what this new law may mean both for Malawian girls and for the development of the country. “This law is very important because of the number of girls who drop out of school because they are going to get married, and because of the high number of girls who are dying when they are giving birth,” said Jesse Kabwila, who was advocating to get the bill through Parliament. Child marriage is a global problem, specifically in regions of Africa, South Asia, and Latin America. In Niger, three-quarters of the country’s girls are married before they reach 18. This bill in Malawi furthers recent progress on the issue of child marriage, which the world has begun to recognize as a human rights violation. Last summer,the African Union launched a historic campaign to curb child marriage. In 2012, the first International Day of the Girl was marked with a UN call for commitment at the local and governmental levels to end the practice. A new film, Difret, tells the true story of an Ethiopian girl who was kidnapped in the fifth grade to be a child bride. The successful movie, backed by Angelina Jolie, is also profiled in the most recent issue of Ms. Girls Learn International, a program of the Feminist Majority Foundation, has also joined the effort to end child marriage, including attending the 58th UN Commission on the Status of Women.